motorsports events in the world including the Great American Race, the Daytona 500. Other events include the NASCAR Coke Zero 400 race in July, Bike Week in early March, Biketoberfest in late October, and the Rolex 24 Hours of Daytona endurance race in January. 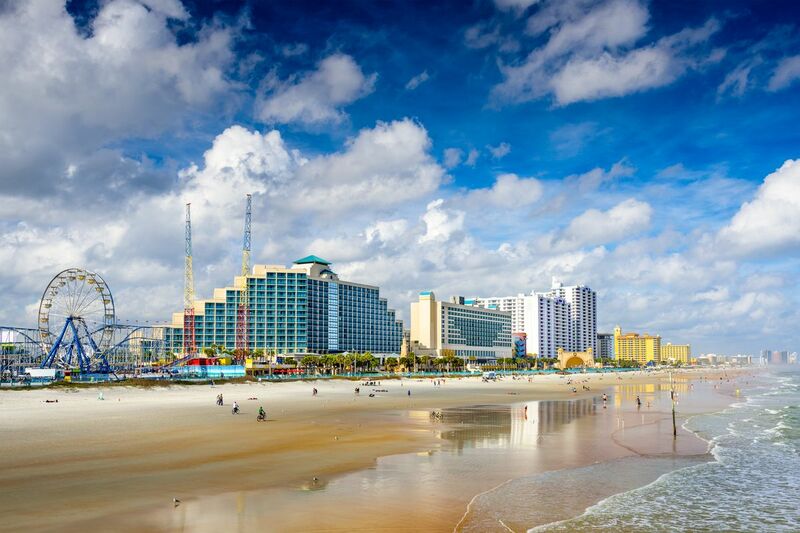 Daytona is bordered on the north by Holly Hill and Ormond Beach and on the south by Daytona Beach Shores, South Daytona and Port Orange. Head just a bit further south for Ponce Inlet, home to the Ponce de Leon Inlet Lighthouse, Florida's tallest lighthouse and one of the area's top attractions.